CIB Unigas is proud of its position as one of the foremost manufacturers of burners. Since its creation in 1972, CIB UNIGAS has achieved regular success allowing it to meet any request, producing a mix of products amount the most prized in the market. Burners of natural gas, LPG, gas oil, oil and dual fuels are available. The range includes equipment of small capacity for the commercial section, and industrial equipment for heating plants of large capacity (hospitals, industry, process plant etc.). Unigas offer more than 600 models, from 15 – 70 000 kW, to which are added the “special” burners made to meet specific requests. The production of exclusive burners has b een one of the reasons for expansion into larger markets. We I Con trading Corporation, Kolkata is a genuine & reliable source for all types of Unigas make burners & its accessories. 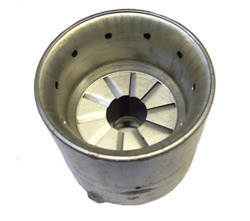 We supply & provides all kinds of support of Unigas make burner with the help of our highly skilled engineers. We have firm allegiance in supplying and trading Cib Unigas Burner Motor, which are known for excellent performance and sturdiness attributes. These motors are widely known among our clients for high performance output and compact design, owing to their procurement from trusted vendors. 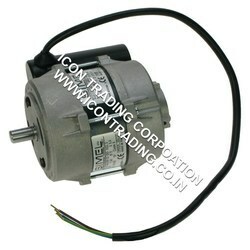 Available with us in wide specifications, we provide these motors to our customers at affordable price tags. In order to cater to the diversified demands of the customers, we are engaged in putting forth an array of Burner Blast Tube .These are manufactured in strict accordance with the global quality standards by employing modern machinery, advent tools and sophisticated technologies. Looking for CIB Unigas Burner ?